Second Summer Camp Added in June! Two New Locations-Sarasota Middle School & Booker High School! First Winter Break Distance Camps out of the blocks! A Chance to Run sponsors AMP Invite AAU Track Meet- Free to our participants! Please complete the online registration form by clicking the blue bar under Camp Forms. Step 1 is the online information form for your camper-just click on the blue box to complete the form. You will be prompted to download and print the form with guardian signatures to bring to camp. Step 2 is to download the Sarasota County School Liability waiver. This must be signed by guardian for each participant. 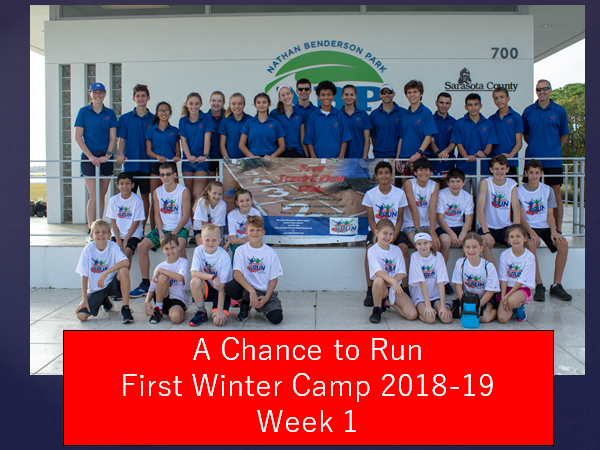 Both the online registration form and the Sarasota County Liability waiver forms should be printed and must be turned in on the first day to participate in the camp. Please email: allison@achancetorun.com or call Allison at 941-961-5257. We look forward to seeing you soon!